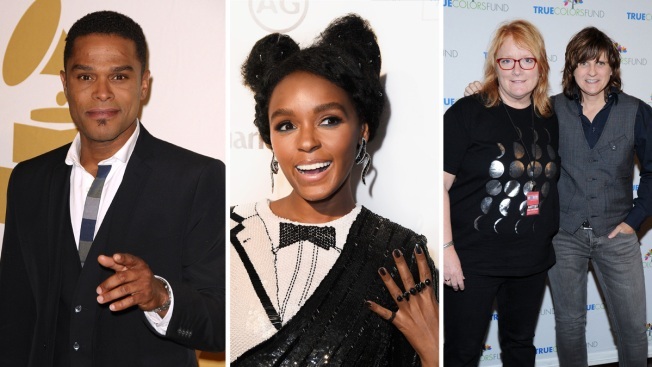 Maxwell, Janell Monae and The Indigo Girls are among the list of performers at the Women's March on Washington. Janelle Monae, Maxwell and Angelique Kidjo are set to perform at the Women's March on Washington this weekend. "I am honored to join this critical movement to bring justice and equality to all," Monae said in a statement. "Music has always been a powerful tool for galvanizing unity and I believe that singing and standing together, our voices will be stronger than any force that tries to repress us." Organizers say entertainers including Questlove, Grimes, Neko Case, Rakim and Lila Downs are joining the march's "artist table" to support the event at the U.S. capital and the 200 planned "sister marches" around the country. Actress America Ferrera was previously announced as the chair of the artists' group.